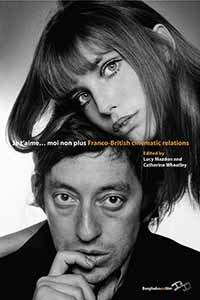 The cover picture for Mazdon and Wheatley’s pithily titled Je t’aime…moi non plus, shrewdly exploiting the iconicity of the Serge Gainsbourg-Jane Birkin duo behind the eponymous song, suggests through the disarmingly grave four-eyed stare of its ultra-stylish couple a combination of seriousness and levity which befits the collection as a whole. Often boasting exemplary primary research in conjunction with rigorous scholarly analysis, the volume manages to be both a rich academic resource and, generally, an engaging read. The edited collection arises indirectly from co-editor Lucy Mazdon’s 2006 ‘French Cinema in Britain’ project – a skew which endures to an extent in its choice of essays – and is partly based, too, on a 2007 conference on Franco-British cinematic relations. It has as its aim, in Mazdon’s words, “to unpack, historicize and indeed move beyond the rather limiting definitions which have tended to define the Franco-British cinematic relation to date” (11) – i.e. French artistry and cinephilia versus British philistinism and lack of formal innovation. One way in which it achieves this is through considering the modes of exhibition, distribution and especially reception to which films are subject. Regarding the latter of these categories, notable gems to my mind are Melanie Selfe’s and Ingrid Stigsdotter’s British reception studies of extreme cinema and French New Realism respectively, both including ethnographically gathered data. Selfe’s essay brings a welcome transcontinental dimension in comparing reactions to extreme films produced in France, Italy and Japan, to show how French cinema’s perceived association with art-house erotica functions, within certain British social groups, to legitimise practices which are deprecated in supposedly more ‘low-brow’ films. Stigsdotter leverages analysis of a (modest) sample of British viewers’ comments about the film La Vie rêvée des anges (1998) to launch an impeccably argued interrogation of the mode of realism itself, as distinct from genre filmmaking. Here she too points to the role of extra-textual details like the directors’ discursive context in positioning films within different frameworks for appreciation, problematising by implication traditional notions of a transcendent, ahistorical film auteur. The inclusion of some iconoclastic pieces raises the question of the selection of films analysed, as itself contributing to perceptions of national cinemas. In general, the volume is to be credited for its range, including contributions as diverse and original as Vincent Porter’s densely researched overview of the exhibition, distribution and reception of French films in Britain in the 1930s; Charles O’Brien’s scrutiny of the dubbing of Hitchcock in France; Justin Smith’s account of Anglo-French co-productions 1965-1979; Ian Christie’s consideration of the impact of cross-channel comparisons on British film culture; and Leila Wimmer’s eloquent extrapolation of what Birkin’s appeal suggests about and contributes to gendered identity-construction in 1960s France and beyond. While a few of these include a somewhat popular dimension, Ginette Vincendeau’s entertaining – and, in its findings, surprising – comparison of British productions of French heritage in ‘Allo ‘Allo! and Charlotte Gray (2001) both acknowledges the intersection of cinema and television in constructing versions of national others and brings a truly mainstream element to the collection; and commercial classical and post-war cinemas, too, make an appearance in analyses of performance, on which more later. Nonetheless, unsurprisingly the pro-auteur inclination of British distributors leads here as elsewhere to a pro-auteur bias in discussion of films, especially where the New Wave is concerned. As more or less inevitable, this is not necessarily a negative point; and Mazdon pre-empts the issue by justly acknowledging the movement’s pivotal role in ‘setting in stone’ conceptions of French cinema in Britain. However, fifty years on, there is still a considerable privileging of the topic, as in Daniel Biltereyst’s examination of the censoring of À bout de soufflé (1960) and other films; Geoffrey Nowell-Smith’s snapshot of such texts’ critical reception in the UK; Sarah Street’s analysis of the confrontation between the New Wave, French stars and the British public; and Robert Murphy’s description of Truffaut’s London period. These contributions may bring new perspectives: for example, Street’s account of the ways in which Simone Signoret’s British film roles negotiate post-war fears of closer ties with Europe is fresh and fascinating. But here the selection certainly attests to Mazdon’s acknowledgement – also in evidence in Catherine Wheatley’s thoughtful account of the marketing of the French versions of Lady Chatterley’s Lover in Britain – that stereotypes around Gallic cinephilia and art are far from being discredited. I also found intriguing those essays which directly contrast British and French contexts in novel ways. Here the issue of stardom stands out, in Jonathan Driskell and Cristina Johnson’s analyses of cross-channel stars Annabella and David Niven. So too does the festival circuit, via a comparison of the French Film Festival UK and the Festival du Film Britannique by Cécile Renaud, which may contain some surprises about French attitudes towards British cinema for readers from Blighty. Finally, Jim Morrissey’s rapprochement of recent French and British ‘Urban’ films bridges the gap between cinematic representation and broader social and cultural policy in a suggestive way. Attractive presentation endures throughout the volume, including twenty-four illustrations. This should help to broaden its appeal beyond academics to the average Brit (or Frenchman), inevitably schooled in cross-channel stereotypes and historical rivalries, and indeed for anyone interested in cross-cultural dialogue. Overall, Mazdon and Wheatley’s book covers an impressively expansive period and range of scholarly approaches without losing coherence. A lively and stimulating collection, it should leave readers affirming ‘Je l’aime…moi aussi’.